Now that baseball’s regular season has ended, and the playoffs are in full swing, it is a good time to look back at the season past. In New York baseball alone, special moments abound: the utter grace and dignity of Mariano Rivera’s season, feted from ballpark to ballpark, and culminating in the momentous final pitches at Yankee Stadium. Or the rise of the Mets’ Matt Harvey, from rookie phenom to All-Star Game starting pitcher, only to see his season cut short by injury. 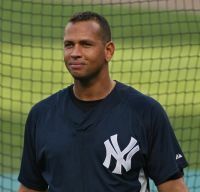 But the strangest and perhaps most tragic of all is the ongoing tale of Alex Rodriguez, aka A-Rod. For those who have not seen a newspaper in a long time, A-Rod has spent the last 19 years among baseball’s elite, with 14 All-Star appearances and a truckload of statistics so impressive the eyes reel. However, he has also been, shall we say, tainted by baseball’s performance-enhancing drug scandal. Earlier this season, A-Rod received a 211-suspension for using those substances, a decision he has been vociferously appealing, much to the chagrin of, well, most everyone. Glanville agrees that statistics are part of the fun of baseball—we root for our favorite hitters to win batting titles, based on the highest average, or our favorite pitchers to give up the fewest runs or win the most games. And indeed the teams who score the most runs win the game, and the teams who garner the most wins usually make the playoffs, earning them the chance to win the World Series. In their essay on integrating qualitative methods into psychological research, Camic, Rhodes, and Yardley (2003) noted John Dewey’s suggestion “that all inquiry and evaluation, whether scientific, moral, or common sense, is ultimately concerned with the question of what things are good for” (p. 7). Furthermore, the authors refer to Shweder’s (1996) discussion where he looks at the differences between quanta—from the Latin quantas meaning how much—and qualia—from Latin quale meaning what kind. The implication here is that although qualitative methodologies have long been eschewed by the so-called hard sciences with their reliance on quantitative methodologies because of the former’s alleged lack of rigor, and indeed, lack of statistical data, is that the two actually complement each other. As existential psychologists, we work with data that is actually human experience, each one individual and irreducible. I could give you a set of statistics about me—my date of birth, my height, my weight, my college GPA, my annual income, my number of dependents—but what would that tell you about how I am in the world? We know that A-Rod has hit 654 home runs, fifth place in history, that he has a career batting average of .299, that he has one World Series ring, but would that tell you whether he should be suspended from baseball for violating the rules and using performance-enhancing substances. I’ve actually learned more about A-Rod the person from watching how he’s handled this crisis. He has shown no humility, no remorse, and has tried to come off looking like the poor pathetic victim in this scenario. His manager and teammates seemed to want him to do well ONLY because they were sentenced—by A-Rod’s appeal—to continue to have to play with him side-by-side and it is obviously counterproductive to winning to wish one of your teammates ill. Numbers, however, still have an important role. But as Glanville said, they have to be placed in the context of the experience. And sometimes, especially in baseball, we might want to erase one or the other to preserve a childhood or other memory or an icon. For example, despite the performance-enhancing drug scandal, I still have a soft spot in my heart for Mark McGwire, having seen him hit home runs number 60, 61, and 62, to “break” Roger Maris’s record during three games in St. Louis against the Chicago Cubs and Sammy Sosa, who came in second in that race, and having met McGwire on the field earlier that night. Do I wish McGwire and Sosa were not implicated in that scandal? Of course. Does that taint their numbers? Of course. But does that change those three special games for me. Not really. Ty Cobb was one of the most despicable human beings to ever wear a major league uniform. Yet, he is a member of the Baseball Hall of Fame and was one of the greatest players who ever lived. Numbers in context. Pete Rose, also one of the greatest players ever, surpassing Ty Cobb, bet on baseball and has been banned from the game and the Hall of Fame. Numbers in context. There used to be a reason we were counting. It helped build a story. Numbers without a story are just numbers—meaningless, abstract. Camic, Rhodes, and Yardley (2003) remind us of Norton Juster’s The Phantom Tollbooth, where the kingdom of Wisdom was divided when King Azaz, ruler of words, and his brother, the Mathemagician, could not get along, and arbitration by the princesses Rhyme and Reason fell on deaf ears. A world where quantitative methodologies exist without qualitative methodologies poses a similar problem. How can we know if the numbers have real meaning—their own unique tales—or if they are just arbitrary abstract representations of “statistical significance” and mathematical rules? Some baseball numbers can put us a certain time and place where we can reconstruct a narrative—for example, say Game 6 in 1986 to a Mets or Red Sox fan. Others, like A-Rod’s 654 home runs, only give us digits, not the story of how many he hit with or without pharmacological assistance. What Glanville has reminded us is that humanity—and that includes baseball fans as well as psychologists—cannot live on just numbers alone. Like those in the Kingdom of Wisdom, we need to invoke Rhyme and Reason to bring together words and numbers, Qualia and Quanta, stats and stories, if we really want to have any chance at finding knowledge, or dare I say, truth. Camic, P. M., Rhodes, J. E., & Yardley, L. (2003). Naming the stars: Integrating qualitative methods into psychological research. In P. M. Camic, J. E. Rhodes, & L. Yardley, (Eds. ), Qualitative research in psychology: Expanding perspectives in methodology and design, pp. 3-15. Washington, D.C.: American Psychological Association.